Most people remember when Taco Bell’s Dorito Tacos launched about two years ago, and how everyone had to get their fingers dirty on them. Taco Bell has recently launched round two of Dorito Tacos with the new Dorito Cool Ranch shell. And today these flavorful shells have ultimately saved Taco Bell . Taco Bell’s current campaign is promoting their newest shell flavor, Cool Ranch. 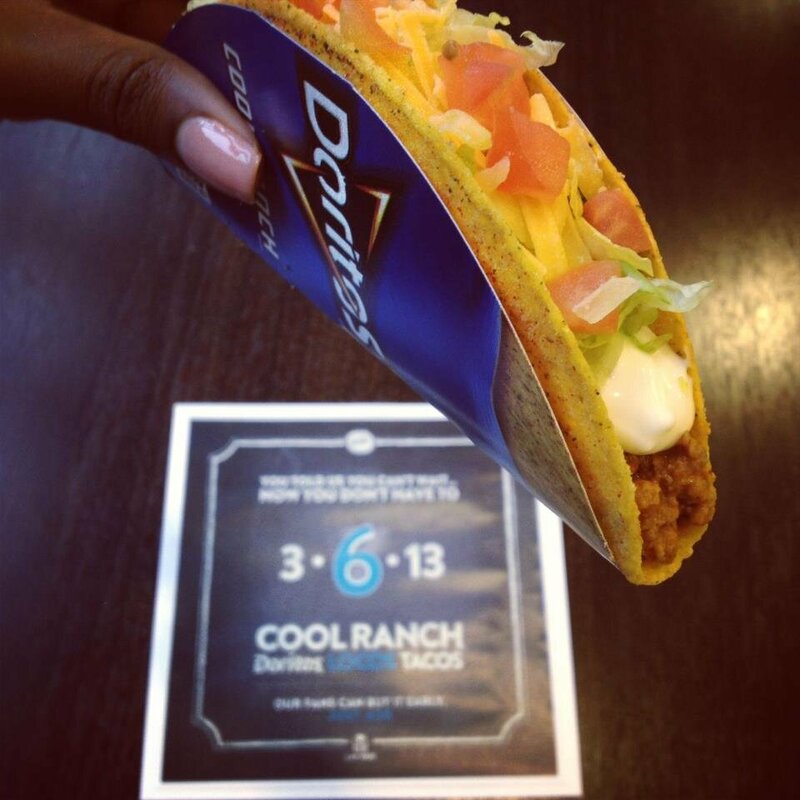 The new taco is their profile picture on Twitter, but also what appears to be a fan-generated background picture including fans enjoying the new taco and their self-established hashtag #coolranchdlt . As the visual aspect works very well for Taco Bell and that is what much of their content is, another reason their Twitter is so strong, is the interaction in the Twitterverse. Not only do they retweet many followers’ tweets that mention Taco Bell, they are also using the “trends” in a creative way. For example, one of the trending hashtags used by Taco Bell was “#WhyBeInARelationshipIf you’re in love with Taco Bell?” For me this shows that Taco Bell is staying engaged with what is going on online, and are keeping up with the “trends.” This tweet alone received over 3,000 retweets, 1,000 favorites and various replies, on specifically stating, “I want soft tacos now pls.” Even a tweet that does not show a product or really talks about the company is receiving high involvement. Taco Bell seems to really striving on being funny, and are able to do so easily because the liking it is getting from their followers! The Taco Bell brand is so successful with their social media truly because of their visual material, staying up with the trends and being funny! These social media aspects are much apparent when viewing Taco Bell’s social media compared to Chipotle. It is important to stand out in the market today, and if Taco Bell keeps up with what they are doing, and keep launching new Dorito Taco flavors, I think they will do just fine.